In the series of our products, we are also engaged in offering a wide range of Autumn Brown Sandstone Stepsmeet the demands of our clients. These products are light in weight and add beauty to the outdoor as well as indoors. These products are widely used in different residential, commercial as well as industrial sectors. The looks of these products are highly attractive and eye-catching. 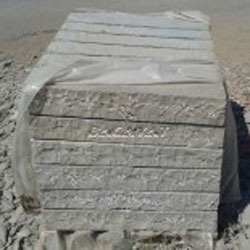 We are suppllier of Modak Sandstone Block Steps in various sizes.These sandstone block steps being very hard material, are weather resistant and have long life and durability to be used as steps. It provides a feel of calm and stability to any landscape design. They are frost resistant and non-slippery. 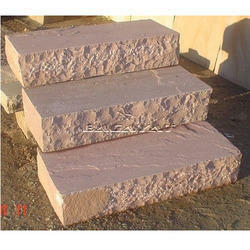 Natural stone is the most durable and hard material to be used as Sandstone Steps, Kerbstones, Palisades. It is more commonly used on slopes having thin soil, which easily get eroded and these block steps prevents soil erosion. It is more commonly used on slopes having thin soil, which easily get eroded and this prevents soil erosion. It provides a feel of calm and stability to any landscape design. They are frost resistant and non-slippery. 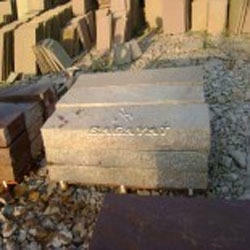 Due to the varied requirements of our clients, we are engaged in offering a wide range of Kandla Grey Sandstone Steps. These products are well designed by the team of skilled and experienced designers of the industry that works with togetherness and achieve their targeted goal. These products are available in different sizes, shapes and attractive designs as per the needs of our customers. With our aim to satisfy our clients, we are engaged in offering a wide range of Raj Green Sandstone Steps all over the world. These products are available in attractive designs and alluring patterns. Innovative ideas and modern styles are kept in mind while designing these products. These products are highly durable and cost-effective. 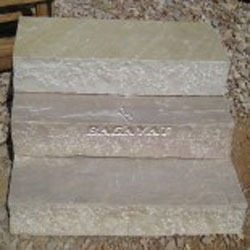 For the miscellaneous requirements of our clients, we are engaged in offering a wide range of Mint Sandstone Block Steps. These products are made up of premium grade base material sourced from reliable and authentic vendors of the industry. Our products are well known for their attributes such as high tensile strength, durability and smooth finishes. 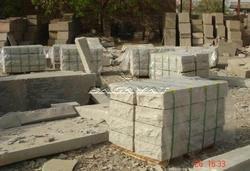 Avail from us a wide range of Lalitpur Yellow Sandstone Steps, as we are engaged in offering these products in small as well as huge bulk as per the needs of our customers. These products are finely designed by the experts and are highly attractive in looks. The appearance of the place is enhanced by these steps. All these products are available in different sizes and designs.